Pedro Encarnacion was the staff leader for Hagerstown in 2013. Photo via flickr. For some historical perspective, here’s 2012’s version (Aaron Barrett was the feature pitcher) and 2011’s version (Taylor Jordan the feature pitcher) of this post specifically for Hagerstown/Low-A. All stats are courtesy of either milb.com’s Hagerstown 2013 Stats page or via Fangraph’s Hagerstown 2013 page. Also useful here are the Big Board and the Nats Draft Tracker since so many of these lower-minors guys are recent draftees. Hagerstown starters. The rotation started the season with Anderson, Mooneyham, Pineyro, Pena and Encarnacion. It ended with Turnbull, Encarnacion, Bacus, Voth, and Johansen (with Dickson in the rotation most of the last half of the season as well). There were quite a few changes along the way; I counted 8 pitcher promotions throughout the year, including 6 starters. Lets take a look at the High-A starters for 2013, starting with the original five and then counting down by the number of starts. Dixon Anderson got the ball opening day and threw 15 decent starts for the Suns, even making the all-star team. He started to struggle in June, hit the D/L at the end of that month and never re-appeared. As you might imagine, its hard to find out injury news for guys in the low minors, so the extent of his injury is unknown to me at this time. Which makes it kind of hard to predict where he’ll be next year. He had good component ratios and was a college draftee from a good baseball school, so you’d think he’s ready to move up. Outlook for next season: High-A rotation if he’s healthy. Brett Mooneyham absolutely dominated low-A ball, posting a 1.94 ERA and going 10-3 in 93 innings before mercifully being pushed to Potomac. And this comes as no surprise; a 3rd round pick from a Pac-12 baseball power should dominate a bunch of kids 2 years his junior. I’m not sure what was left to prove in Hagerstown, especially when it became clear he was overpowering the league. To be fair, he did have a 6 week D/L stint that factored in; but once he came back and dominated towards the end of June he should have been pushed up. Outlook for next season: High-A rotation. Ivan Pineyro threw 13 good starts for Hagerstown, was promoted, then got 3 starts in High-A before he was flipped for Scott Hairston. Outlook for next season: in the Chicago Cubs organization. 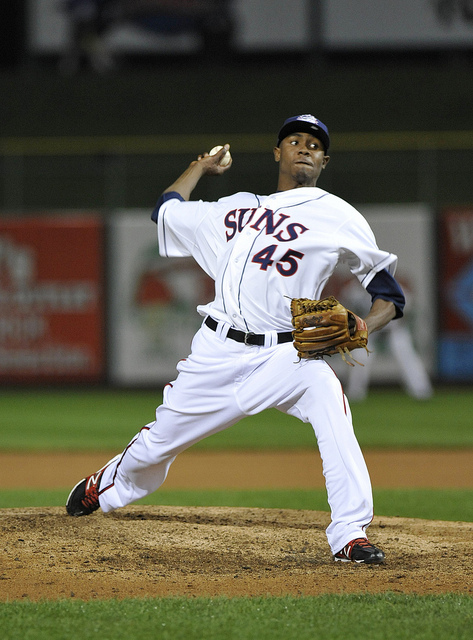 Ronald Pena started in the rotation for Hagerstown, then was pushed to the bullpen to become the long-man by June. He ended the season with decent enough numbers: 4-3 with a 3.48 ERA in 28 appearances (10 starts). His component ratios weren’t that great: 55/34 K/BB in 88 innings, but he did give the Suns a great playoff stint in long relief. Where does a guy like this go from here? Outlook for next season: high-A bullpen in a similar long-relief/spot starter role. Pedro Encarnacion was the staff leader for Hagerstown this year, leading the team in starts, wins (technically tied with Mooneyham), innings pitched and K’s. 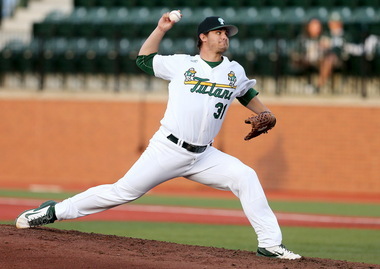 The DSL graduate posted a 10-9 W/L record with 113/37 K/BB in 128 innings. He had a 1.19 whip on the year, and his FIP (3.50) flattered his ERA (3.58). Encarnacion right now represents the most accomplished DSL graduate in the entire system (when speaking of pitchers anyway), perhaps the best DSL pitching prospect we’ve had the entire time the team has been in Washington (who is more accomplished? Atahualpa Severino? ), and I see no reason for him not to keep climbing the ranks next year. Outlook for next season: High-A rotation. Nick Lee joined up with Hagerstown in mid May and gave the team 17 decent starts before hitting the D/L to make way for new acquisition Dakota Bacus in August (more on him later). He had impressive K rates (102 strikeouts in 91 innings) and a FIP (3.54) that flattered his ERA (3.95). He had a number of sparkling outings interspersed with a couple of failures, but for the most part was consistent this year. Outlook for next season: High-A rotation competition, possibly dropping back to Low-A if the numbers game doesn’t work out (he’s young; he’s still 22). Kylin Turnbull lasted just three high-A starts, giving up 10 runs in 17 innings and was demoted to low-A. Repeating Hagerstown, he was again poor, putting in just 5 mediocre-to-bad starts before being sent to XST, where he toiled for a few weeks before joining up with Auburn to start the short-season. He pitched to a 1.96 ERA in four short-A starts and earned a promotion back to Hagerstown, where he finally settled down and finished out the year. Unfortunately he laid an egg in the playoffs, but a lot of our guys did. On the whole in Hagerstown for the year, he performed ably; a 3.58 ERA in 16 starts. Outlook for next season: Attempting High-A’s rotation again, but i’m wondering if he’s cut out to start. 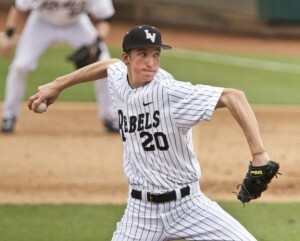 Despite his draft pedigree (4th rounder in 2011) he may be eventually bound for the bullpen as a lefty specialist. Ian Dickson was acquired in early June from the Cubs when the Nats finally DFA’d Henry Rodriguez. I define this transaction as “getting something for nothing.” Dickson joined the Suns bullpen, showed his big arm, then was mostly a starter for the rest of the season. 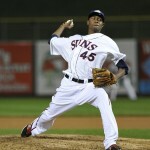 All in all for the Suns he had 16 appearances (10 starts) and posted a 4.39 ERA with more than a K/inning. Meanwhile his K/BB ratio was fantastic for such a strikeout guy (71/17 in 65 2/3 innings for the Suns this year). Is he a starter? Outlook for next season: High-A swingman/spot-starter. 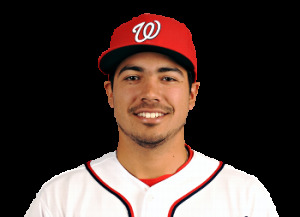 Matt Purke over-matched low-A in 6 starts (posting 41 K’s in 29 innings) and was pushed to Potomac in early July. See the high-A writeup for more. Outlook for next season: High-A rotation. Austin Voth is an exciting 2013 draftee who blew through both short season teams to end up in the low-A rotation and get the opening playoff start. See the short-A writeup for more. 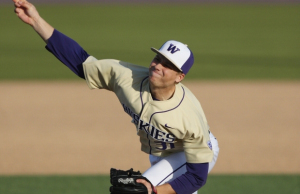 Jake Johansen is, as we all know, the Nats top draft pick from 2013. 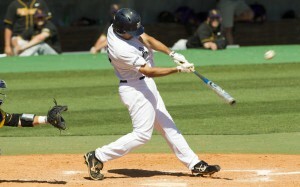 He (like Voth) pushed his way to low-A this season. See the short-A writeup for more. Dakota Bacus came to the team in late August in trade for Kurt Suzuki; he spent most of the year in Oakland’s low-A team and performed ably. He posted a 3.65 ERA in 121 innings but showed a bit of a wild streak. Outlook for next season: High-A rotation competition. Blake Schwartz blitzed through 4 starts in low-A and was quickly promoted to Potomac. See the high-A write-up for more. Outlook for next season: AA rotation. Brian Dupra earned two promotions on the season to end up in Potomac’s bullpen. See the high-A write-up for more. Outlook for next season: High-A bullpen competition, possible release. Reynaldo Lopez gave Hagerstown a spot start, getting called up from Auburn. See Short-A write-up for more. Ryan Mattheus got a rehab “start.” See MLB write-up for more. Hagerstown relievers. We’ll start with the closers and work backwards by IP from there. I will say this; when considering the future of middle relievers in low-A ball, everything is a crap shoot. Most of these guys are already “org guys” before they’ve even really started their careers and its really difficult to project where they may go. Unfortunately, lots of these guys may end up being post spring-training releases to make way for the newer crop of draftees. Robert Benincasa led the Suns in saves despite being promoted mid-season. See the high-A write-up for more. Outlook for next season: AA/High-A bullpen. Gilberto Mendez dominated low-A this season, arriving in June, posting a 0.91 ERA and striking out 33 in 29 2/3 innings while earning 7 saves. No reason to think the 2011 DR signing isn’t moving on up. I like this guy; so far he’s pitched pretty well at every level he’s hit. Outlook for next season: High-A bullpen, possibly the closer if Benincasa is in AA. Derek Self couldn’t make the leap to High-A, and spent most of the season in Hagerstown. He posted decent numbers in low-A: a 3.41 ERA in 31 2/3 innings pitching mostly towards the back of the bullpen. Outlook for next season: trying the high-A bullpen again, possibly falling back to the low-A bullpen. Travis Henke toiled most of the season in Hagerstown and got a late-season promotion. In Low-A he posted a 2.72 ERA in nearly 60 innings of mostly longer relief. He’s yet another decent find out of a small college (Arkansas – Little Rock) for the Nats scouting department. Outlook for next season: high-A bullpen. 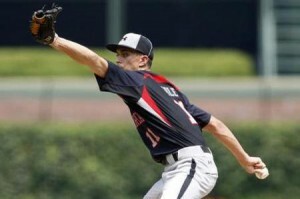 Bryan Harper earned his keep in low-A this year, posting a 3.97 ERA in 45 innings. He’s got to work on his control though; 32 walks in those 45 innings completely counter balance his nice K/9 ratio. Outlook for next season: high-A bullpen competition as the matchup-lefty. Cody Davis continued to pitch extremely well for an undrafted free agent signing, succeeding in his third straight season and third straight promotion. For Hagerstown in 2013; a 2.76 ERA in 42 innings, more than a K/inning, nearly a 4/1 K/BB ratio and an even better FIP (2.33) than his ERA. He’s clearly earned a shot at the next level. Outlook for next season: High-A bullpen. Brian Rauh started the year in Hagerstown’s bullpen as an 8th inning guy, didn’t really pitch that well but was pushed up to Potomac anyway. See the high-A write-up for more. Outlook for next season: High-A bullpen, perhaps a starter. Perhaps a release candidate. 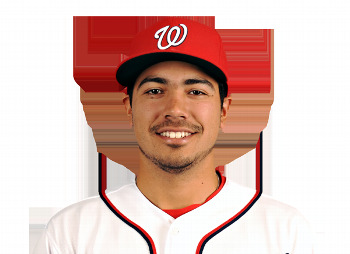 Christian Meza lasted about 5 weeks in Potomac, putting up a 6.62 ERA and greater than a 2.00 whip before getting demoted back to Hagerstown. For Hagerstown he was better but still not great; a 4.00 ERA over 31 innings. To be fair, his K rate was excellent and his FIP in such a short sample size was decent, but giving up 2 base runners an inning as a reliever is a no-no. He’s entering his 5th pro season and has thus far been unable to succeed above low-A ball; he may face a do-or-die spring training in 2014. He is a lefty though, and the lower parts of the system seem to lack lefty matchup guys, so this could be a saving grace. Outlook for next season: trying the high-A bullpen again, possible release candidate. David Fischer started the year in Hagerstown but was quickly bumped up to Potomac, where he served as a long-man out of the pen. See the high-A write-up for more. Outlook for next season: High-A bullpen. Will Hudgins started the year in Hagerstown’s bullpen, was demoted to Auburn, and abruptly retired in July. Odd in my opinion; his stats didn’t look that bad. Outlook for next season: out of baseball. Justin Thomas bounced around the system in his first pro year, pitching at 4 different levels. He only threw a grand total of 22 innings on the year so its hard to pass too much judgement. He was a college senior draftee so you’d have to think he’s better suited for full-season ball in 2014. Outlook for next season: High-A bullpen competition. 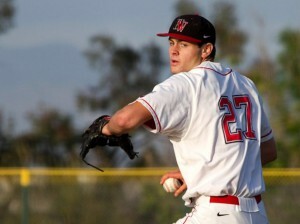 Chris McKenzie threw 12 innings of 5.25 ERA ball and was released, ending a 4 year tenure in the organization. Jason Smith got lit up in 7+ innings and was released. Corey Bafidis stopped in to Hagerstown for two appearances before heading to Auburn. See the short-A write-up. Leonard Hollins had one appearance in low-A, got sent back to XST and spent the season in Auburn. See the short-A write-up. Jake Walsh had 1 IP during a brief callup in August, then joined the Suns for the playoffs. See the GCL write-up for more. The Suns were the first half champs on the backs of good (if over-aged) starting pitching. It is what it is; the Nationals are drafting older players, focusing on college guys, and its just natural that our low-A team is going to trend older. Based on what I see here, there’s going to be quite a competition for the High-A spots in 2014. There’s going to be more guys than spots, both in the rotation and in the bullpen. A lot of the names who featured for the Suns in the playoffs may very well be back to start 2014, giving the team an excellent chance of repeating as first half champs in 2014.